Work on the site, part of Apple's $1.8 billion investment in European data centers, is said to have been stopped because of issues with main contractor Exyte, seeing craftspeople sent home and not told when to return. 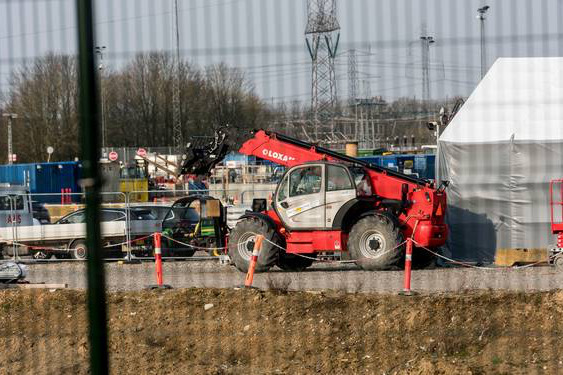 Danish newspaper Viborg Stifts Folkeblad says that construction work on Apple's Viborg data center site has been abandoned and craftspeople sent home. The paper reports that it has unconfirmed sources saying that Apple has terminated its agreement with the building's main contractor, the Irish firm Exyte. "Several hundred craftsmen were sent home with the message that they were to take their tools with them," says the paper (in translation), which has separately confirmed that "there is no life" at the site, no workers or staff. "It is stated that the Irish main contractor has not been able to deliver the construction to the agreed deadlines," wrote the publication. "The first deadline was last September... the second deadline [was] April this year." Apple has not yet responded to requests for information from Viborg Stifts Folkeblad. Exyte has responded, but only to say that it can't comment. The work on a data center site in Viborg, in Denmark's Jutland region, is part of a project that was seeing Apple invest $1.8 billion in Europe. This claimed delay on the Viborg one follows Apple's abandonment of a similar facility that had been planned to be built near Athenry in Ireland. Apple withdrew from that plan because of local opposition, but it did so before any actual construction had begun. Both the Ireland and Denmark plans were originally announced in February 2015. Each was planned to measure some 166,000 square meters, each was to be powered by renewable energy, and Apple said they were to serve content to European users for the iTunes Store, App Store, Siri and more. Bumpy ride on the other side of the pond. If the one source link is the only source, I don't see all the details in this article on the Danish news site. Also it says that construction is still going on, but mejority is at a stand still. 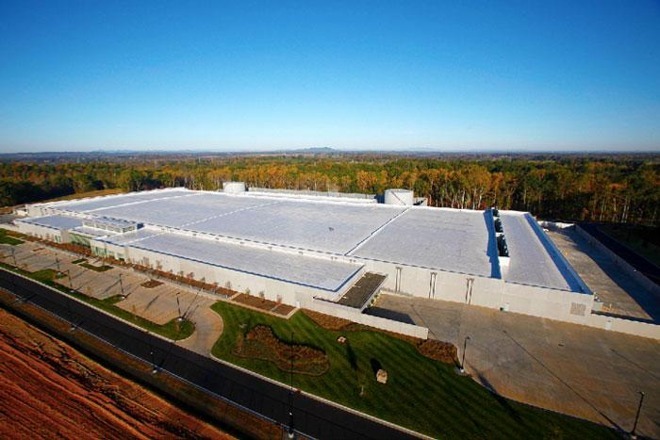 With the exception of China, all Apple data center construction has been put on indefinite hold. I assume they are ok with continuing to host on AWS and Google sites. Report seems very inaccurate Exyte is a German company. If not then Apple is an Irish company. No Danish references. “Abandoned” is probably the wrong word here (which I’m putting down to a translation error). It sounds like the original contractor missed its deadlines and was fired. Apple is incredibly likely to hire a new contractor to finish the work, so the implication that this Danish data centre won’t get built is almost certainly erroneous. This would, incidentally, hardly be the first time Apple fired a contractor and brought in new ones to finish things ... IIRC they had to do that with one of the firms involved in building the new HQ in California! Exyte (M+W Group) is German and German construction companies are notorious for failing to deliver but usually the companies just accept the delays because there is no other option I'm glad Apple have stood up to them and hopefully it sends a message this behaviour is not acceptable. Stone Berlin opening was delayed from May to July because construction workers just failed to get the job done and would give up on the slightest issue.